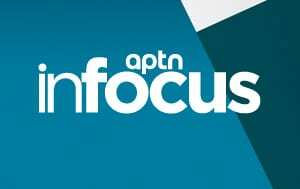 APTN Investigates is the first Indigenous investigative news program in Canada. The show offers viewers hard-hitting investigative reports and stories that change lives. 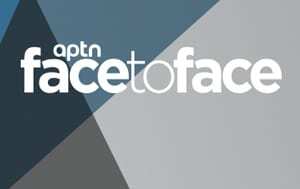 Produced by award-winning journalists, APTN Investigates is committed to seeking the truth for our people. 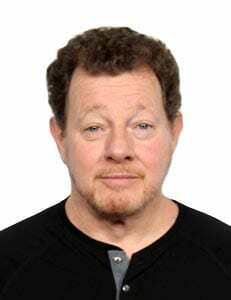 Paul has been described by the Ryerson Review of Journalism as “one of Canada’s best Aboriginal affairs investigative reporters.” He won the Journalists for Human Rights annual Lifetime Achievement award in 2016. 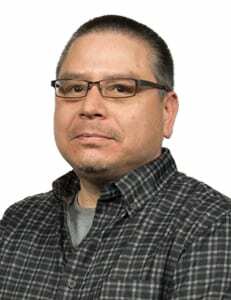 Prior to joining APTN, Paul served as national news editor/senior writer for Windspeaker, an Edmonton-based Aboriginal news publication distributed nationally. 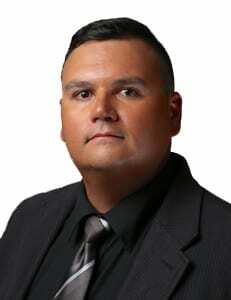 His stint with Windspeaker began in 1997, after nearly five years with the Six Nations weekly newspaper Tekawennake. 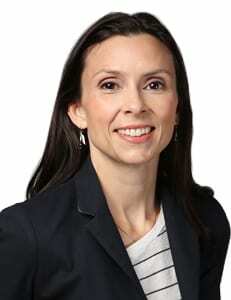 Holly Moore is an investigative journalist with 16 years of experience working on news and documentaries. 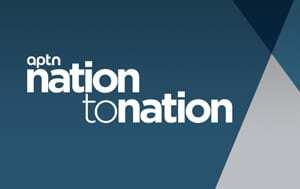 Before joining APTN in 2016, she was an Associate Producer with CBC Manitoba’s I-team where she produced nation-wide projects for CBC’s Indigenous Unit. Her work has been nominated for a number of national awards, most recently by the Canadian Association of Journalists. An expert in deep research and never giving up, she strives through her work to hold powerful forces to account. John, a Mi’gmaw man from Eel Ground First Nation, grew up in southern Saskatchewan. He has a bachelor’s degree from the University of Alberta. John was the CAJ/APTN inaugural investigative journalism fellow in spring 2017. 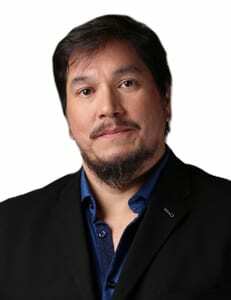 His background also includes radio hosting and producing as well as reporting for APTN National News before joining APTN Investigates full time in late 2017. 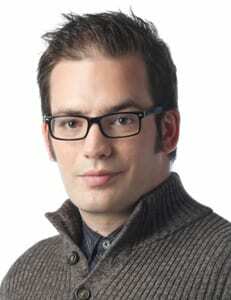 Josh has worked in journalism and broadcasting in Winnipeg since 2003, and has been with APTN Investigates since 2010. An alumnus of the Creative Communications program at Red River College, Josh brings years of behind-the-scenes video and audio production experience to APTN’s investigative news unit. Rob is a member of the Dzawada’enuxw First Nation from Kingcome Inlet BC. He’s been a part of APTN National news since 2005, Rob brings to APTN almost twenty years of broadcast experience. He joined Investigates in 2013 and has covered protests, land claims and the fentanyl crisis. His cinematography was nominated in 2016 for a Canadian Screen Award. Cullen is a proud member of the Gwich’in Nation and was born and raised in the capitol of the Northwest Territories, Yellowknife. After studying Film and Video Production at the University of Regina he was hired as a Video Journalist for APTN National News in 2008. Five years later, he joined the Investigates team. His episode “Forgotten Survivors” about unrecognized Newfoundland residential school survivors recently won an Amnesty International award and an ECPAT/Beyond Borders award. 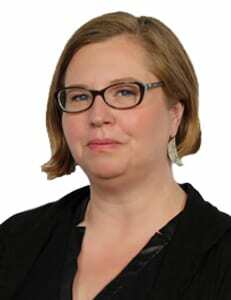 Trina Roache brings 18 years of journalistic experience to APTN Investigates. A member of the Glooscap First Nation in unceded Mi’kmaw territory, Trina has covered Indigenous issues from politics to land protection, treaty rights and more. In 2014, Trina won the Journalists for Human Rights/CAJ award for her series on Jordan’s Principle. She was nominated again in 2017 for a series on healthcare issues in the remote Labrador community of Black Tickle. Trina’s favorite placed is behind the camera, and is honoured when the people living the story, trust her to tell it.